Russia may supply its S-300 long-range surface-to-air missile systems to Syria on a free-of-charge basis, according to a Russian newspaper citing sources. The Russian foreign minister, Sergei Lavrov, has stated that the issue of Russia's supplies of S-300 air defense systems hasn't been decided upon yet. He added that Russian President Vladimir Putin had discussed the issue with the Defense Ministry in order to help avoid a situation, in which Syria was not prepared enough for "aggressive actions" like the massive airstrike conducted by the US, France and the UK on April 14. "What decisions will be taken by the leadership of Russia together with the representatives of Syria have yet to be determined; there is no secret here," Lavrov said. Vladimir Ermakov, the director of the department of nonproliferation and arms control of the Russian Foreign Ministry, said in a separate statement on Monday that there are no international treaties that could limit the supplies of defensive weapons from Russia to Syria. In his turn, Kremlin spokesman Dmitry Peskov has refused to comment on the possibility of S-300 surface-to-air missile systems supply to Syria. "I will only remind you once again of the statement made by [Russian] President [Vladimir] Putin after a missile strike was delivered on a sovereign country in violation of the foundations of international law," Peskov told reporters when asked about the growing complexity of the international situation and Russia's relations with other countries in connection with the possible supply of S-300 systems to Syria. Earlier in the day, Kommersant newspaper reported that Russia may supply its S-300 long range surface-to-air missile systems to Syria on a free-of-charge basis, within the framework of military assistance to the Arab country. The newspaper has cited diplomatic and military sources as saying that the issue of supplying the S-300 Russian long range surface-to-air missile systems to Syria "has practically been resolved." The supplies will be conducted within the framework of rendering military and tech assistance to Damascus which the sources said "has no money" to pay for the deliveries. S-300 components, such as radar stations, transport-loading machines, control points and launchers, will be delivered to Syria either by military transport planes or Russian naval ships. 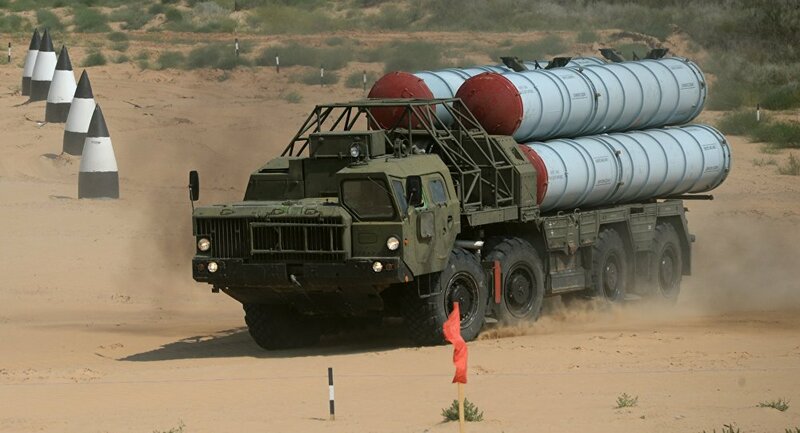 If delivered, the S-300 is expected to become part of the Syrian air defense system, which currently includes the predominantly Soviet-made S-125, S-200, Buk, Kvadrat and Osa missile systems. Russian President's spokesman Dmitry Peskov has, meanwhile, declined to comment on whether Moscow will supply the S-300 systems to Syria, stressing that last week's Western missile strike on Syria "had further deteriorated situation around the Syrian settlement." Late last week, Russian Foreign Minister Sergei Lavrov told Sputnik that Moscow was no longer bound by a moral duty not to supply the S-300 systems to Damascus after recent Western missile strikes on Syria. Earlier, in an interview with the BBC, Lavrov said that Moscow was ready to consider any means to help the Syrian army curb further aggression even though "several years ago we [Russia] decided not to supply S-300 systems to Syria at our partners’ request." On April 14, the US, France and the UK carried out coordinated airstrikes against Syria in response to the alleged use of chemical weapons by government forces in the city of Douma in the suburban Damascus region of Eastern Ghouta on April 7. According to the Russian Defense Ministry, Syrian air defense systems managed to intercept 71 out of the 103 missiles fired by the trilateral alliance at the civil and military targets within the Arab republic. The Russian air defense units did not take part in the interception as no missile entered their areas of responsibility. The Syrian Foreign Ministry described the missile attack as a hostile move, which "will only lead to inflaming tensions in the world and threatens international security." Russian President Vladimir Putin called the airstrikes an act of aggression against a sovereign state. In another development last week, Russian Defense Ministry spokesman Igor Konashenkov said the ministry has evidence that the alleged April 7 chemical weapons attack in Douma was little more than a false flag provocation aimed to prod the US to stage a missile strike on Syria. The Organization for the Prohibition of Chemical Weapons (OPCW) in turn said that its fact-finding mission had visited a site in Douma to collect samples in connection with the alleged chemical attack. The OPCW added that it would "evaluate the situation and consider future steps including another possible visit to Douma."